I want to open a Precious Metals IRA – what to start with? 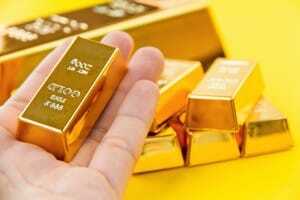 Home » I want to open a Precious Metals IRA – what should I start with? I want to open a Precious Metals IRA – what should I start with? I want to open a precious metals IRA – what should I start with? Bullion? Silver? Copper? Numismatic coins? Gold liberty? Thanks for emailing – great question. Choosing the right precious metals for your IRA depends on your individual objectives. Everyone has different goals, and each precious metal has its own unique benefits. Our Precious Metal IRA Specialists can help you identify the best options for your needs. But in the meantime, here are some of the key differences you’ll want to keep in mind as you begin comparing your choices. Bullion coins are valued solely by their precious metals content and weight. Bullion may make sense for those who prefer to hold extremely liquid assets whose value is affected almost entirely by market forces. Proof coins are valued not just by their precious metals content and weight, but also their scarcity. That’s because proof coins, such as American Eagle Gold Proof Coin (the only proof coin allowed in an IRA), are minted with the highest production standards in limited quantities each year. This makes them attractive to some people who are looking for additional factors that can fuel the coins’ growth potential. What about numismatic coins, such as the popular Liberty Head? Although these coins might make sense as supplemental investments, depending on your goals, they are not approved for placement in a Precious Metals IRA. Ted, give us a call and one of our Precious Metals IRA Specialists will be happy to go over all your options to determine what’s right for you.